From a long curl to a short buzz, and everything in between, you need the best clippers for black hair to be able to achieve your desired haircut. Choosing a model that will work wonders on your black hair isn’t as easy as you may have imagined. The clipper choice for black hair is huge in the current market. However, we have searched and analyzed five top clipping gears you can buy right now. In addition to our product recommendations, we have also presented you with reliable buying tips that will effectively help you select the best clippers. Now, let’s find out what clippers you can buy! 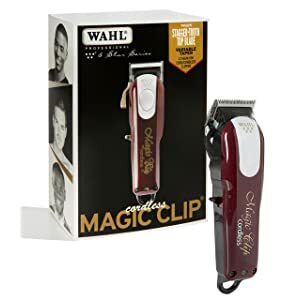 How to pick a clipper for Black Men? 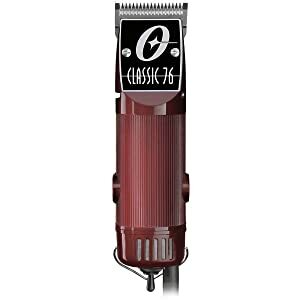 At #1 in our list is the Oster Classic 76. It is equipped with a single speed, a powerful universal motor that delivers superior cutting power. The universal motor provides more than enough cutting power and speed for clipping coarse, thick, dry, or wet hair. 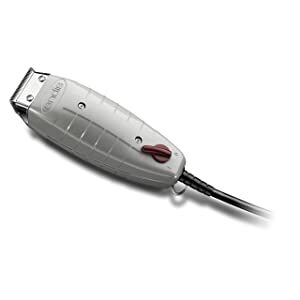 If you are searching for compact barbering clippers, the Oster Classic 76 is the real deal. It is a proper fit for any hand size. The housing is shatterproof and ultra-durable. This model features a detachable blade system (000 to 1), which is remarkably easy to change, clean, or oil before and after use. Do you expect the blades to get too hot or too noisy? Such are not problems you will experience with the Oster Classic 76. These clippers are also resourceful for cutting around the back of the neck and ears. However, you have to buy the ideal blade size. 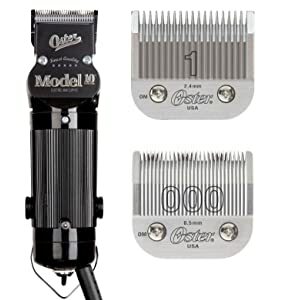 If you are looking for legendary grooming clippers for black hair, look no further than the Oster Model 10 Classic. The strength of this amazing model lies in its stylish simplicity as well as durable workmanship. They are engineered to last a long time regardless of how frequent they are used. They have an impact-resistant exterior that holds up remarkably in the toughest barbershop environments. The compact casing is not only easy to hold but also easy to control. This model comes with a size 000 detachable blade along with a free #1 blade. You can also purchase separate blades that you can use with this model. The clippers have large dangling bale for simple storage. In addition, there is an on/off toggle switch for stress-free one-hand operation. Also, the ten feet power cable offers more maneuverability. At #3 in our list is the Wahl Professional Magic Clip. This is the best cordless cutter for the money. The ergonomic design is lighter weight, allowing you to hold it effortlessly during use. The lightweight design also allows you to style and restyle black hair with ease. There is a blade lever on the left side of the housing that allows you to conveniently adjust the blade length for effective cutting. The adjustable blade design is highly versatile. It features stagger tooth crunch blades that not only produce optimized blending but also faster feeding. Another feature that makes the Wahl Magic Clip a reliable choice for black hair is the lithium battery. It offers one and a half hours of runtime. 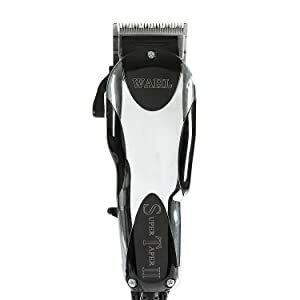 If you are in the market for clippers with the sharpest performance, the Wahl Super Taper II is the ideal choice. They are fitted with a v5000 motor that guarantees faster speeds and more power compared to traditional electromagnetic cutters. The blade system of these clippers isn’t that bad. 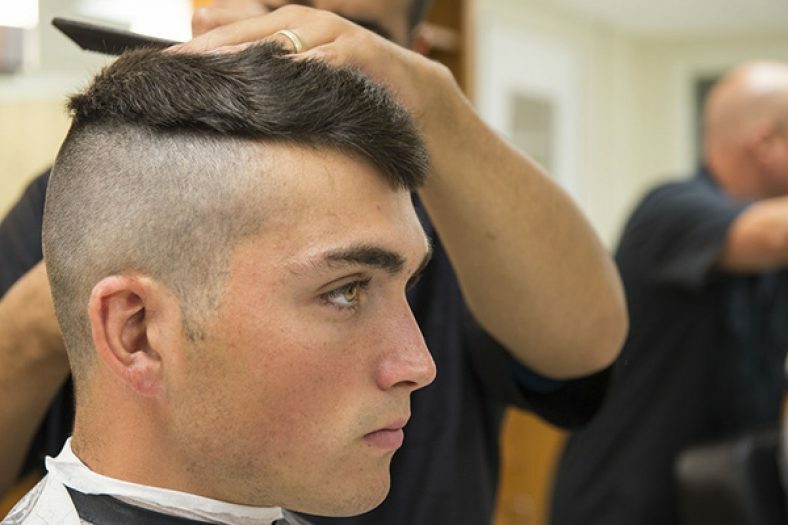 Typically, the blades may warm up faster after a long haircut; however, they won’t get excessively hot. The blade adjustment lever allows you to adjust the length of the blades easily, improving your cutting experience. Also, it has a sufficiently long cord for easy maneuverability. When you buy this machine, you get eight color-coded blade guides. The cutting/blade guides allow you to style and restyle at different lengths. If you are looking for the perfect clippers for fading and all-around outlining, look no further than the Andis 04603 Go Professional. This unique masterpiece provides you with a whole different level of fine cutting experience with its close-cutting blade design. While conventional magnetic clippers may be inferior, the Andis 04603 Go Professional comes with a super strong magnetic motor that delivers the ideal speed and power you need to cut black hair. What is probably most impressive about these clippers are the durable carbon steel blades, which are forged and hardened for lifetime use. The impact resistant housing will not crack easily when accidentally dropped. The housing is also contoured for easy handling. Ideally, all clippers may be ideal for black hairs, but that’s not entirely correct. There is more than one feature to consider when shopping for clippers for black hair. Look at all the various sizes, finishes, and shapes. Your choice depends mainly on what feels more comfortable to use and the technique of cutting to be used. There are two specific designs that you will come across in the market: corded and cordless. Usually, corded clippers are more preferred because of the uninterrupted power supply once connected. There are also standard battery-operated clippers for black hair that you can buy. However, you will have to put up with the short battery life. Some clipper designs may have limited battery life. Choose a safer design that will not cause unexpected events during use. If you choose a corded design, make sure the cord is durable and the attachment clip is made of stainless steel. This is, in fact, one of the most important considerations when shopping for black hair cutters. There are primarily three motor designs, such as rotary, pivot, and magnetic. Rotary clippers generate high clipping power as well as blade speed. They have maintenance free design that requires no internal oiling. Rotary motors do normally have complex structures together with moving parts. Therefore, you may be required to replace the parts to maintain high performance. They are very resourceful for all black haircuts and restyling, including wet as well as dry hair. They are very resourceful for high volume and heavy-duty clipping. Clippers that run on pivot motors do normally deliver high power; however, they deliver low blade speed. They have a more complex structure than magnetic. But, the blades don’t produce a lot of heat or noise during extended use. The high cutting power is suitable for clipping coarse and thick black hair. The low blade speed also ensures there are less friction and heating during intense use. Not the most reliable choice for black hair because of the low cutting power. However, magnetic cutters have a very simple design composed of fewer parts. If you want a very durable clipper design, then you should settle for a magnetic option. Also, they require little or no maintenance. Clippers are equipped with a range of different blade sizes for different purposes. The number 000 blade is suitable for removing hair from outside the outline, whilst the number 1 blade is best for clipper cutting black hair to remove bulk. What are the different clipper cutting guide sizes? This is a very important question to ask yourself when shopping for clippers for black hair. The universal sizes of clipper guides most men’s hair stylists use on black hair may range from zero and they will go up just as high as #10. What you are going to notice is that on each of your clipper guides you will find two numbers on the guides, which tells you the size in mm and inches. 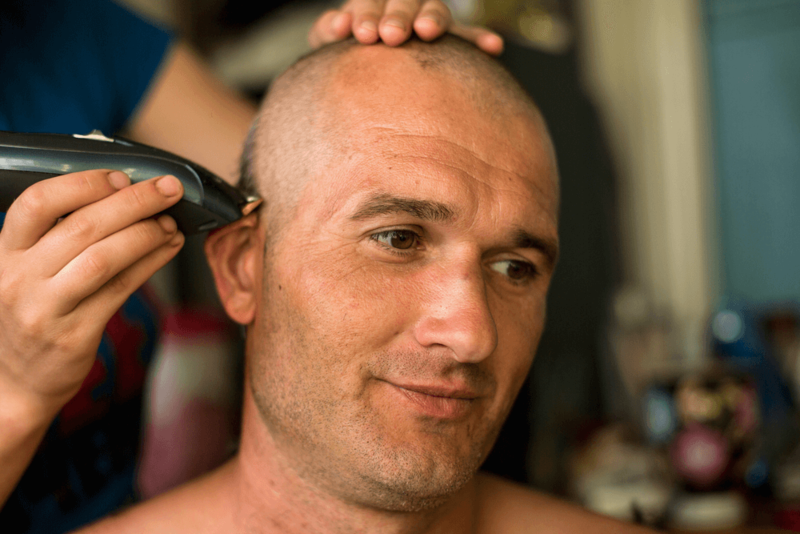 You should know that guard sizes vary from one clipper manufacturer to another. 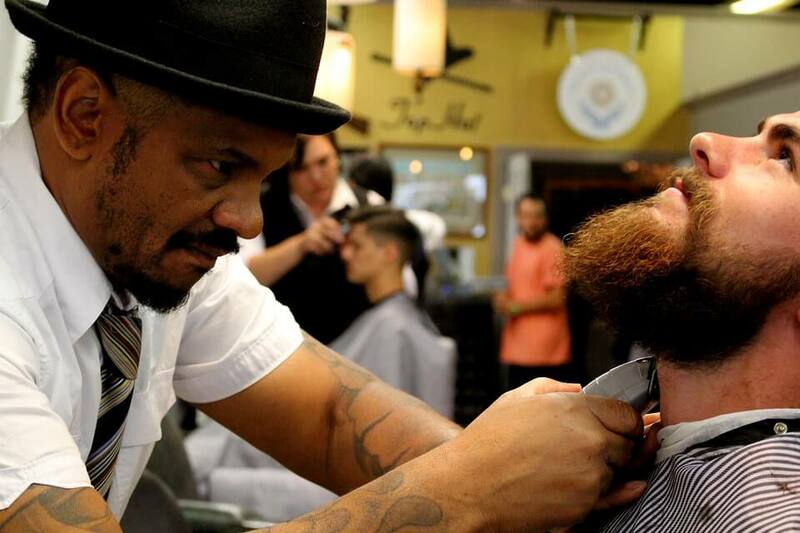 A size 4 clipper guard on a Wahl could be different from an Andis. Each of the different clipper companies has slight differences, but in general, they are usually the same. So, you want a size (s) that will work on your hair. Both detachable and adjustable blade designs are ideal for black hair. Different manufacturers specialize in different blade design. For example, Andis are well-known for their detachable clippers, while Wahl is worldly recognized for their adjustable clippers. Detachable cutters come with an assortment of blade sizes and tend to be operated by powerful motors, making them convenient for all types of black hair. The blades are easily changed, as the new selected blade is simply pushed on to the clipper head when required. The blades are quite delicate and must be handled carefully to avoid dropping them. Also, detachable clippers are very easy to clean. If you want versatile clippers, choose adjustable ones because the blades can be set across a wide range of cutting depths. Adjustable clippers are convenient for black hair because they are self-contained and you do not need to carry additional blades. The only problem is that adjustable clippers are usually operated by magnetic motors, which means that they do not deliver sufficient cutting power. The blades can be easily dismantled for cleaning. Some adjustable designs have predetermined depth settings to make it easier to select a specific cutting depth. You should try to avoid clippers with super high speeds (fast strokes per minute) to avoid clipper burns, especially when working on short black haircuts. Black hair is coarser, thicker, and curlier, which allows you to be very innovative when it comes to styling, fading, tapering, and blending. To achieve all these, you need a good clipper for black hair. In our opinion, you should go for sharp blades and enormous cutting power. Therefore, you have to settle for either rotary or pivot clippers. Choosing between detachable and adjustable clippers may be a little tricky, depending on the manufacturer. But we urge you to settle for detachable clippers. Also, choose an ergonomic design in terms of weight and grip. A lightweight and non-slip grip design is easier to maneuver when working on black haircuts.